I don't get to see my mom and family as often as I wish, but hopefully living just an hour away will help with that now. :) Whenever I go home for weekends, I love to spend a Saturday browsing antique stores and vintage shops with Mom and Grandma for deals on decor. Mom's a lot of fun. She's a strong, smart, creative, and vibrant woman. And as a mom, she's truly amazing. She's always put family first. She's always supported my creative endeavors. She's always been there for me through breakups and mistakes and life changes. I only hope that someday when I become a mother, I can be half as wonderful of a mother as she is. So this Mother's Day, I want to give my mom something special, sentimental, and sparkly. 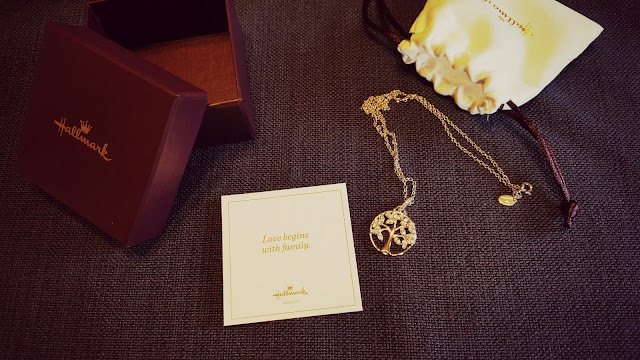 Let's hope she doesn't sneak up on my blog... because I want to share with you the lovely timeless Tree of Life necklace from Hallmark Jewelry that I'm going to give her... and I'd hate to spoil the surprise! I think this lovely piece of jewelry will make a perfect gift for not only mom, but yours, too! So I put together this gift idea board for gift ideas to pair with the necklace. 1. When I was growing up, we always visited the local Hallmark store to pick out cards. Picking out the "just right card" with the perfect message is an art that I learned from both my mom and grandma. They always took so much care when picking out birthday and special occasion cards. I love the pretty floral design, lovely lettering, and heartfelt messaging in this Reasons to be Thankful Mother's Day card from Hallmark. 2. 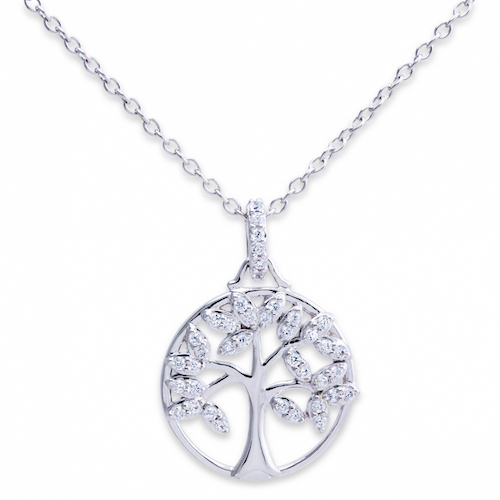 You can purchase a the Tree of Life Necklace from Hallmark Jewelry on Amazon. 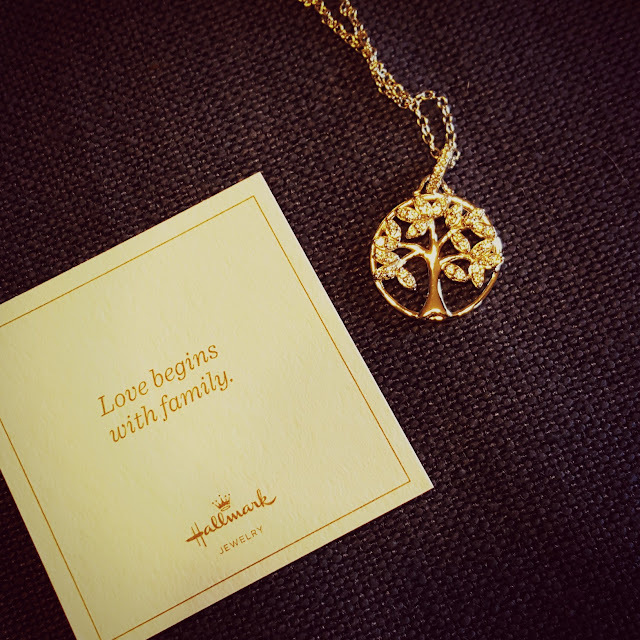 If the tree isn't your mom's style, go ahead and browse Hallmark Jewelry at Amazon.com... there are so many lovely pieces to choose from. 3. I think it's nice to throw in something extra, like a candle. My mom loves the fragrance of peonies, so this peony candle from Hallmark would be perfect. 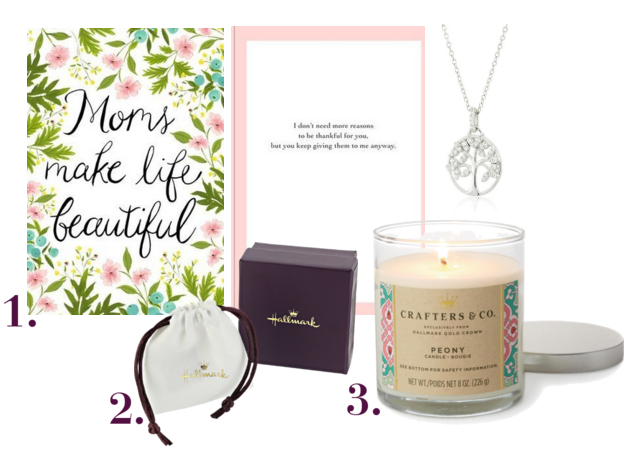 What are you getting your mom for Mother's Day to show her that she's loved, special, and appreciated? Which piece from Hallmark Jewelry on Amazon.com would she like best? Let me know in the comments. I'd love to hear your ideas.